So, who is better, Virat Kohli or Rohit Sharma? Stand-in Indian skipper, Rohit Sharma, on Friday smashed a classic half-century and in the process scripted history by becoming the highest run-getter in the shortest format of the game. 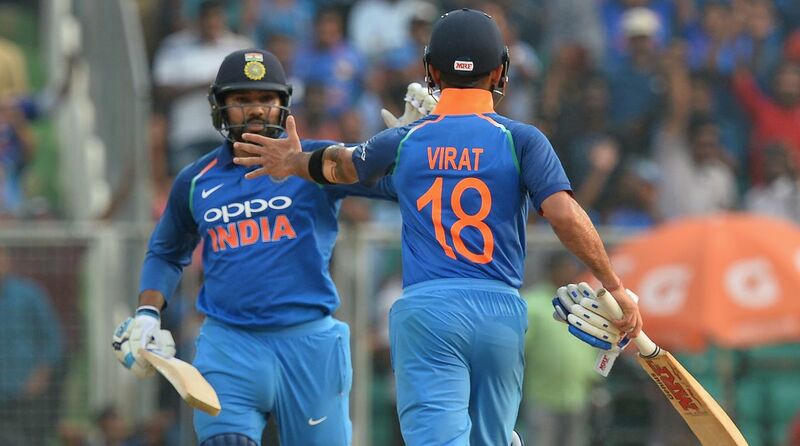 Rohit’s quick-fire fifty also helped Team India in winning the second T20I by seven wickets and levelling the ongoing three-match T20I series against New Zealand 1-1. During his fifty-run knock, the 31-year-old smashed four sixes and in the process become first ever Indian to hit 100 sixes in the shortest format of the game. So far, Rohit has amassed 2288 runs in 92 T20Is with the help of 16 fifties and four hundreds. Rohit also holds the record for most number of the fifty-plus scores in the shortest format of the game. Indian skipper Virat Kohli, who has been rested for the ongoing T20I series, is at the fourth spot in the list with 2167 runs. Kohli also has the highest batting average among batsmen in T20Is. The Delhi batsman averages 49.25 in the shortest format of the game. With the win at Auckland, the Mumbai batsman also equalled regular skipper Virat Kohli’s tally of 12 victories while leading the Indian team. While Rohit has 12 wins from just 14 matches, Virat Kohli achieved the same feat in 20 matches. When the veteran Indian off-spinner Harbhajan Singh was asked this question, he told Sports Tak, “That’s a tricky question. Rohit Sharma and Virat Kohli are tremendous players and both are match-winners. Both are class players and their records speak for themselves. Rohit Sharma is supremely talented while Virat Kohli is a hard-working cricketer. Maybe, Kohli is not as talented as Rohit but his hard work and passion have taken him to where he is right now. So, it’s tough for me to pick who’s a better batsman. I will not be able to answer this question. But both play for India, that’s what matters. “Rohit has scored so many hundreds in T20Is because he opens the innings and he gets to play that many deliveries. Virat Kohli sometimes has to play slow at the start of his innings after India lose early wickets. And, when he gets a set platform, 15-16 overs are already over. So we should not look at the stats but look at how much these two players have contributed playing for India,” Harbhajan added.